The weather in New York this week has been gorgeous with temperatures hitting the 40s everyday and it has me dreaming of Summer. There are lots of great pieces in stores now for the warmer weather ahead and I thought I would share a couple of my favorites. This maxi dress is casual enough for the day, but can also be dressed up for evenings with a pair of earrings and a clutch. White jeans are a Spring and Summer staple as they go with almost everything. And, these heels are the perfect neutral. 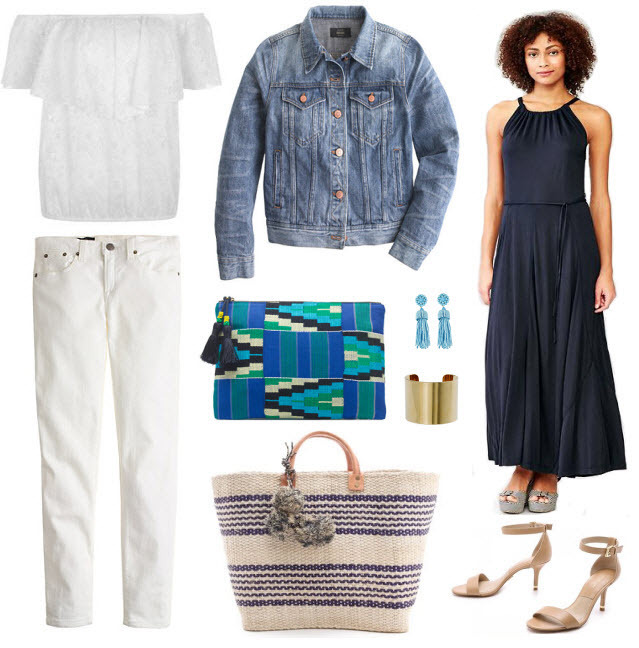 love that beach tote! So cute!